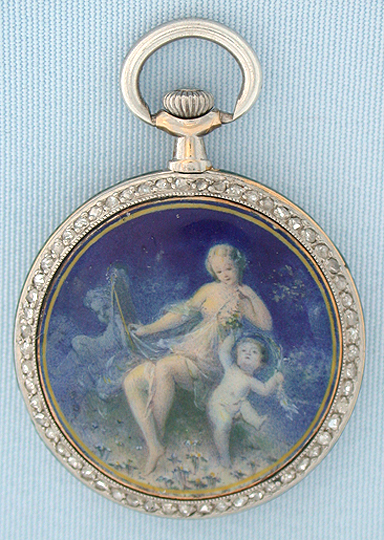 Lovely platinum, 18K gold, diamond and painted enamel ladies pendant watch by Bailly circa 1905. The back with a subtle painted enamel scene within a 57 diamond border. 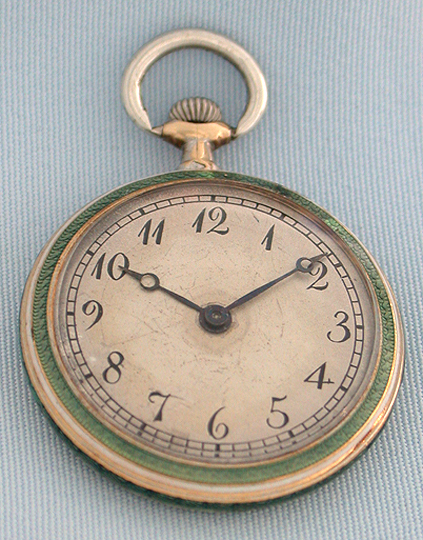 Original silver dial within a green enamel bezel with small repair. 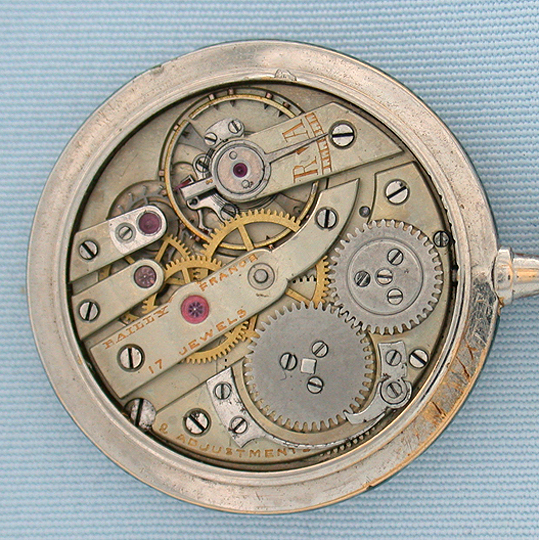 High grade 17 jewel 8 adjustment movement.